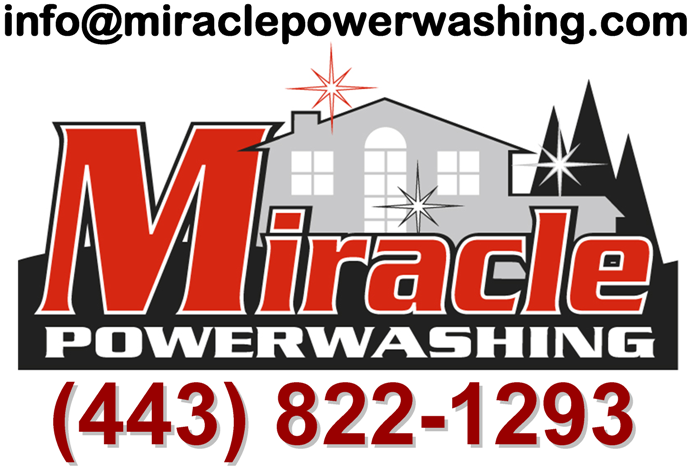 A small, minority-owned business, Miracle Powerwashing is based in Annapolis, MD close to Baltimore and Washington, DC. Jason Smith, a long time resident of Arnold Maryland, operates Miracle Powerwashing and self-performs most of the work. on relationships built thru prior projects and repeat business with past clients. Jason looks forward to meeting you! the list, don't hesitate to ask for it; we want you to be comfortable with our proven expertise and high level of customer service. by working in the background to guarantee the best possible service and quality that all clients expect and deserve. We use pressure washers and pressure washing supplies from Sun Brite Supply in Gaithersburg, Maryland! in a timely and high-quality fashion. We transport water to each project so that we don't have to rely on your water supply. And we have the option of using hot water that we heat in our truck to increase the effectiveness of the cleaning we perform. received a large water bill from your local utility company shortly after you had a deck or siding powerwashed. There are no surprises or unexpected expenses with Miracle Powerwashing. Give us a call or drop us an email; you won't believe the results!